Medalist is a golf club. 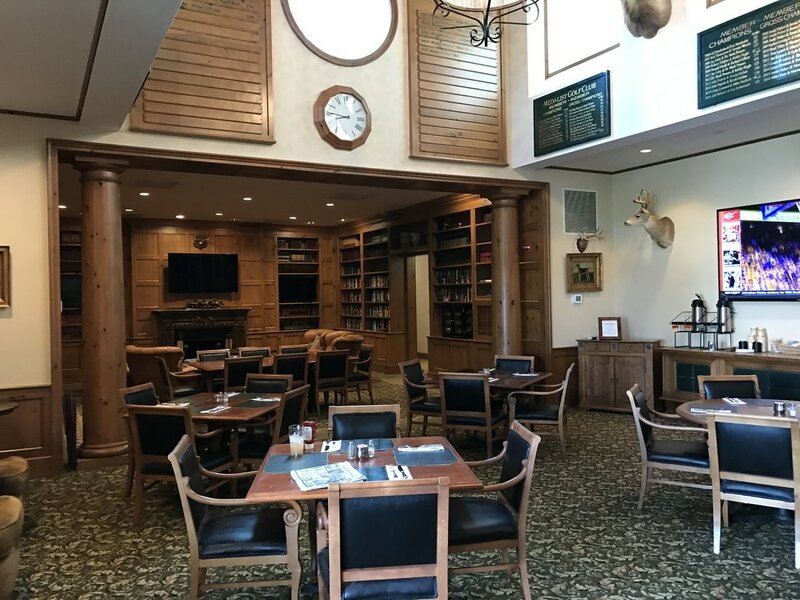 There is a championship course, a smaller club house, a really cool locker room, an awesome men's lounge, and a pro shop with the best brands in golf. Pulling up they valet your car and direct you right into the pro shop. The front door goes directly to the pro shop and locker room as opposed to the main area of the club house. When pulling up we went directly to the Men's Lounge for lunch. The men's lounge has a seating area with continental breakfast every morning. There is a bar in the lounge that serves up drinks right when they open. The lounge is decorated with some game heads and has a hunting feel throughout. I heard there was an awesome big shark in there that Greg Norman took out when he departed. 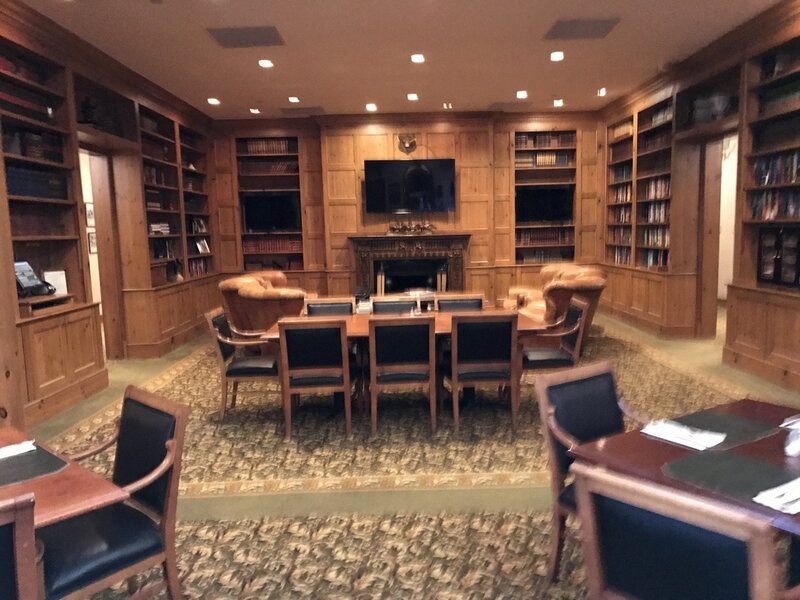 Off the lounge is a library with every golf book ever written! At most clubs, when you have a dominant member, he will normally win the club championship once and opt out of the tournament to give other players a chance to win. Not at Medalist! Rickie Fowler has no shame in showing up every year and dominating the tournament! Medalist is hard from hole #1 and just beats up on you the entire round. Its long, 7571 yards kind of long from the Championship tees, and the distance isn't even the hardest part! The course is flat like most of Florida but carries a 155 slope rating. The greens and green surrounds are brutal! Traps surround the greens from all angles with built up ledges that are intimidating and force you to carry the slope. It is very easy to let the traps get in your head and fly one to the other side of the green which consists of yet another trap. If the green side traps aren't enough there are pot bunkers in the fairways and around some of the greens. When you're not in the sand, you're in the water. It is a brutal test of golf and I can easily see why Tour Pros chose Medalist as their home course. The highlight of my round I would have to say was getting to meet Olin Brown.​ My ball was short of a fairway bunker and he came out to check out the cat tracks in the bunker. After he left the caddy explained Olin is an avid hunter and and well educated in tracking animals. The superintendent saw the tracks and notified the pro and they were worried a mountain lion was on the course. There is tons of wildlife all over the course, most of it you see while there as well! Medalist was one of the hardest courses I have ever played but would go back in a heart beat! If you ever get the invite take advantage and go! It's a great place and you are sure to meet a few names while there.